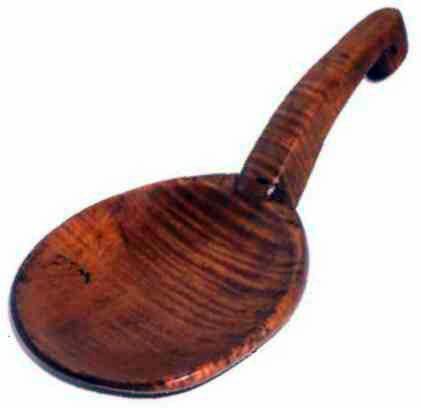 Presented here a very fine 19th Century Tiger Maple Scoop with such strong graining you can actually "feel" it! One of "the Best", but then we're partial to figured woods! Condition is excellent. Size is 9-3/4" long and the bowl is 5-1/2" wide.